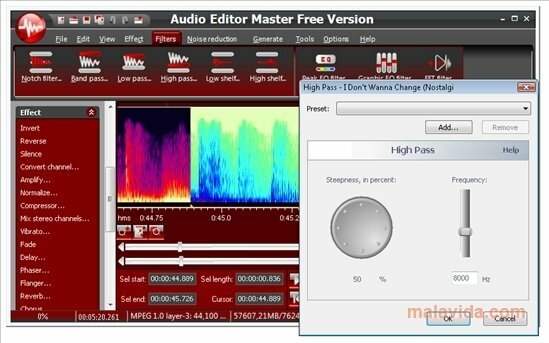 Audio Editor Master is a program developed to be able to edit sound files, that offers professional results, mainly due to the great collection of tools it includes, among which it is worth highlighting its effects and filters. The program's interface is rather simple, because if has a sidebar from which it will be possible to access the most important functions, in such a way that cropping or equalizing a file will be a very fast process. - View the file's waveform or spectrum. 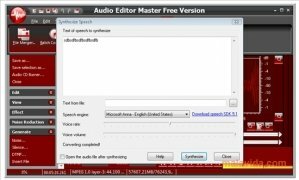 - Record from any entry of the sound card. - Collection of effects (delay, reverb, flanger, timestretch, vibrato,...). 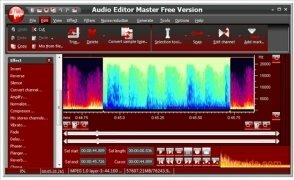 - Edit each file's metadata. 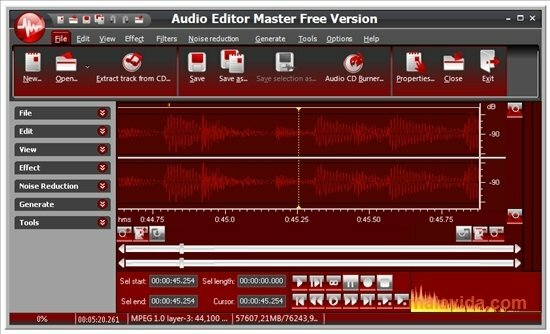 - Convert audio clips between several formats. 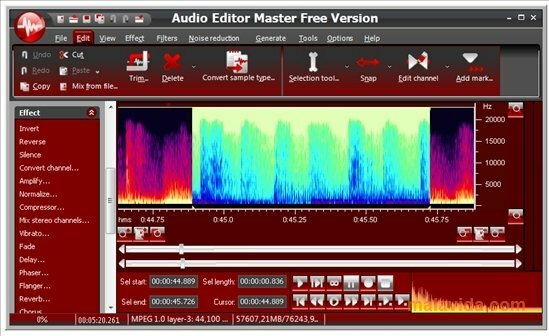 Discover a great tool to be able to edit any audio file, obtaining professional results thanks to Audio Editor Master. The trial version can be used a maximum of 20 times in 30 days.